Join fellow Lopez Island conservatives for the 2019 Lincoln Day Dinner. 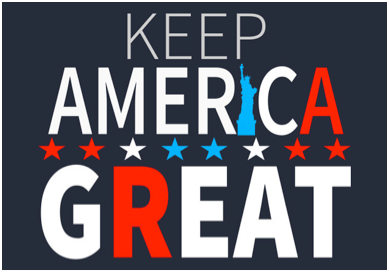 Our theme will be Keep America Great Always and the speaker will be Steven J. Buri, President of Discovery Institute. This is one of our major fundraising and social events for the year and is always a good time to network and be encouraged by conversations with like-minded people. There will be a Silent Auction, as well as a Dessert Auction, so come prepared! NOTE: All money supports programs, initiatives, and candidates that impact San Juan County.. REGISTRATION: We encourage everyone to register and pick your host table via Paypal fields below. Payment by mail must be received by Thursday, April 18 to ensure your place at the event. Walk-up space will only be available if event is not sold out, so pre-registration is encouraged. STEP 1: Pick a table captain or unassigned table. Click on BUY NOW STEP 2: Indicate the number of tickets you need. Click on CONTINUE. STEP 3: Enter your PayPal information or complete as a guest with your credit card. NOTE: If you receive an error message that says, “Sorry, Lincoln Day Dinner Lopez 2019 isn’t available at this time,” it means that the table you selected is sold-out. Click on CONTINUE SHOPPING and pick another table. MAIL IN REGISTRATION Please indicate your table captain on your check and mail to: SJCRP Attn: Lincoln Day Dinner LOPEZ PO Box 2735, Friday Harbor by Thursday, April 18.